Grands Designs Show - NEC, Birmingham - We provide temporary staff! Looking to revamp up your home and style it to perfection? Your home is your abode a place where you want to find only comfort and ease, but when that comfort has been notched up to look stylish and modern, then there is no limitation to your joy. Grand Designs offers you just that. There are numerous models that can help you understand the latest trends and requirements of a modern home. Grand designs is a series of events and exhibitions that can help you make decisions. 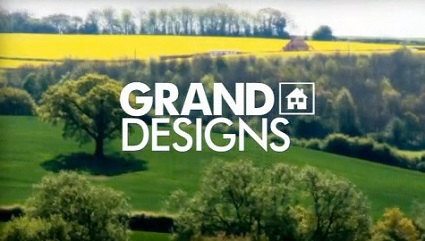 The Grand Designs Live is a sponsored event by Anglian Home Improvements. It will be held in Oct. So, if you are looking for some tips and tricks to keep your home in a perfect condition all you need to do is save the dates. From 11th of October to the 15th of October you can enjoy a grand event which will be conducted in coordination with the UK construction Week. What does Grand Deisgns Show have for the people? The Grand Design is returning grander than ever. There will be some stereotype breaking designs that will change the way you think about home improvements. The exhibition will help you make your minds about the upcoming renovations that you were planning for your homes. The focus of the presentation is not on the readymade items, but they also cater to do it yourself and other self-working themes. The exhibition will help you think out of the box and make sure that you get rid of the conventional thought process of home building and start considering newer techniques to design your homes. The exhibition is going to house a lot of experts and interior designers who will help and guide you and enlighten your perception so that you can also break out of the traditions and start thinking creatively about your homes. Kitchen, bathroom, bedroom and living room have been all catered by the Grand Designs show. All you have to do is to turn up at the exhibition with a flare to learn and absorb, and you are going to have a great take away. The show promises to be amazing with loads of beautiful and creative idea floating around the house. There will be a lot of informative seminars that will help you from deciding the materials to designing and constructing the structure. The ask an advice forum will assist you with all the architectural and monetary decisions. The experts will help you create perfect deals for your homes in the most suitable way. The exhibition is near, and therefore all the people who are interested in visiting should bookmark the date so they can develop and expand. The right way and no money go unnecessarily into things that are not worth spending. All you have to do is visit and take benefit of the experts under one roof. The ticket booking is to be done in advance and therefore without much further ado book yours so that you can avail an amazing opportunity! Need to hire experienced staff for Grand Designs? If you are exhibiting at Grand Designs and need to hire an extra pair of hands to help you on your stand we can help. We provide experienced staff to help you from selling your product to helping you set up your stand. There is no minimum or maximum number of people you can hire.